Smart Home with Ease is the installation of your home technology with maximum efficiency and minimum disruption to your busy lives. All of the services are installed by our highly skilled and professional Tech Team and are completed in minutes and hours rather than days or weeks. Take advantage of our free survey service to discuss your home technology requirements further. In only one day you will have a professionally installed Smart Home system with app and voice control. The system features technology from Apple, Nest, Philips Hue, Ring, Honeywell and other brands that you know and love. This is the fastest way to unlock the full potential from your 4K big screen. Give it the audio and control setup it deserves. Using the amazing Sonos 5.1 surround system and intuitive Logitech Harmony remote control you will be in movie and box set heaven in no time. Many of us are living with several remote control and apps to control our tech. Logitech Harmony control gives you a single handheld remote and app for controlling your entertainment and Smart Home devices. Admit it, wi-fi is sometimes more important to you than hot water, am I right? The wi-fi coverage in many peoples homes is dire. Customised can help. With our quick setup wireless router and hotspots we will have your entire home covered in under one hour. 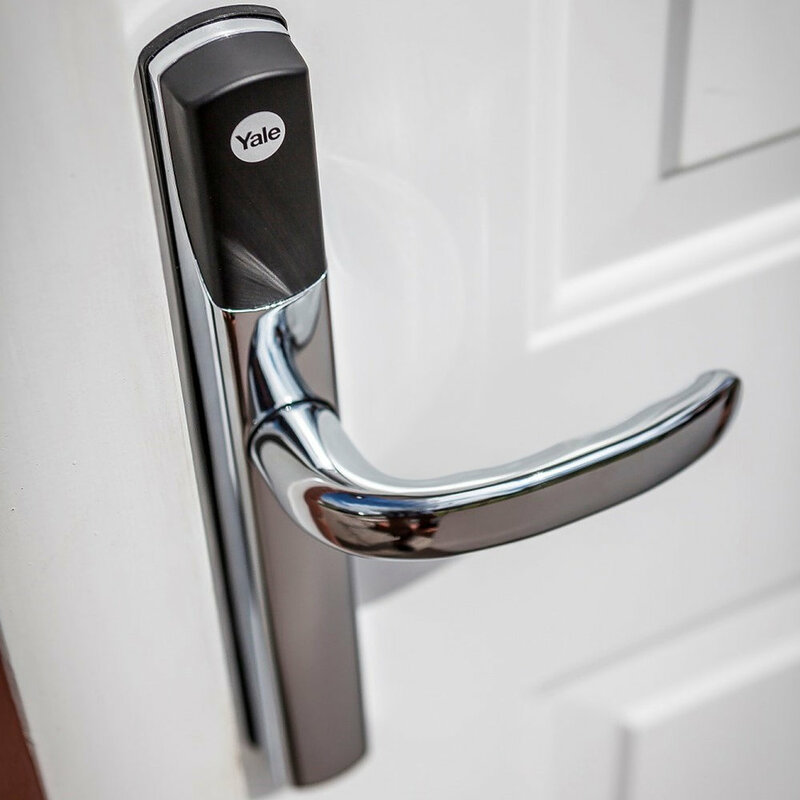 62% of homeowners surveyed by Yale want the ability to remotely unlock their door from anywhere at any time. Say goodbye to keys and enjoy the freedom to open your door from your smartphone.